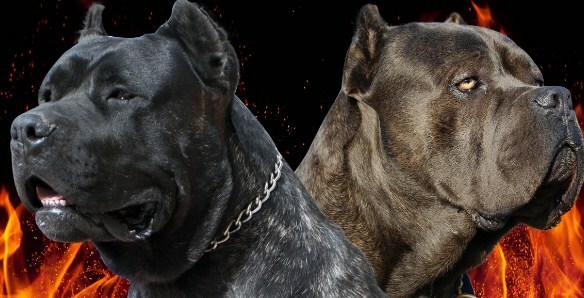 Another breed that is misidentified as Pitbull is King Korso or Cane Corso. 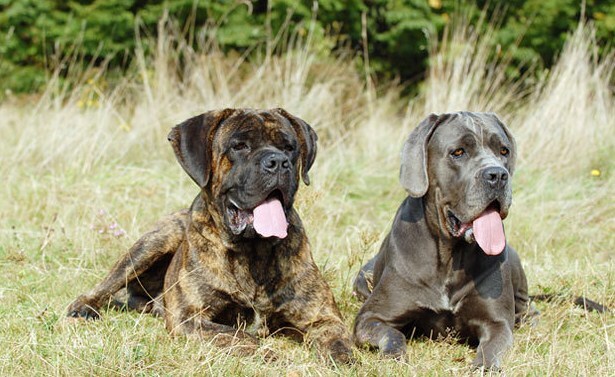 This breed is also called Italian Mastiff, Sicilian Branchiero or Cane di Macellaio. This breed is categorized into a medium-big size dog with 24 to 27 inches in height and 99 to 110 in weight. This breed is built strongly. However, they are also elegant with long and powerful muscles. They also expresses their strength, agility and endurance. They have a muzzle that is very broad and deep. The width of the muzzle is almost the same with the length which is about 3.4/10 of the total length of the head. Then, its depth is more than 50% the length of the muzzle. They also have a neck that is slightly arched and the shape of oval section is strong and muscular. Their body is also compact, strong and very muscular. For exercise, they must be invited to regular exercises a lot and they can make jogging companions. If they are not jogged daily, you can take them on at least one long, brisk daily walk. How about their temperament? Cane Corso is loyal. They are also willing to please and quiet around the house. Besides, they are also intelligent, very trainable, active, even-minded and can be an unequalled watch and protection dog. If you have children, do not be worried because this breed can be great with kids in the family. Then, they are also docile, affectionate and has a very stable temperament. So, is it good if we make a King Corso Pitbull Mix? Let’s find out first about Pitbull. Physically, pitbull is very muscular, stocky but agile. They have brick-like head and a pair of ears which are round. Their tail is also tapers to a point and their neck runs into a deep and well-sprung chest. They can grow up to 14 to 24 inches in height and 22 to 78 in weight. They can live up to 12 years if they get a suitable food and have a good lifestyle. Pitbull needs a lot of regular exercise and need to be taken on long daily walks. For temperament, basically they have natural aggressive to the other dogs and animals, but it can be vanished if they are socialized properly with confident, calm and consistent pack leader. Besides, they are also amusing, good-natured, loyal and affectionate and can be great with kids and adults as well. 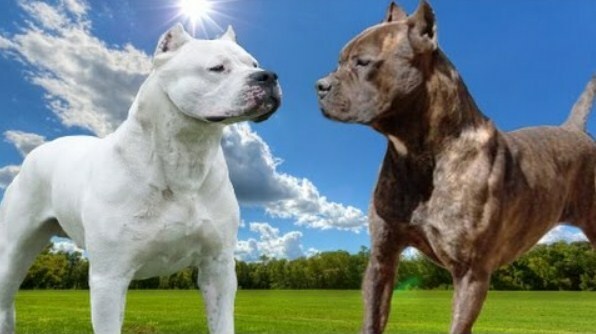 What will happen if we breed King Corso mixed Pitbull? Crossbreeding between those two breeds will produce in a mutt that can have any characteristics of both dogs. You are able to expect it to have weight anywhere from 70 to 115 pounds depending on the pitbull used of breeding. Then, they may not bring specialized tasks though they make great family pets if socialized properly. Besides, they will also have short hair like pitbull and can vary in colors as well. Even though it is a rare gene, but you can find a blue Cane Corso Pitbull mix if you are lucky.